New Zealand: Diocese Release: Fr Rick Loughnan with Bishop-Elect Paul Martin express their deep sadness at the news of the death of Fr Graeme Blackburn in a road accident. We along with the whole diocesan family express our deepest sympathy to Graeme’s mother, Erin, and the family at this tragic loss. 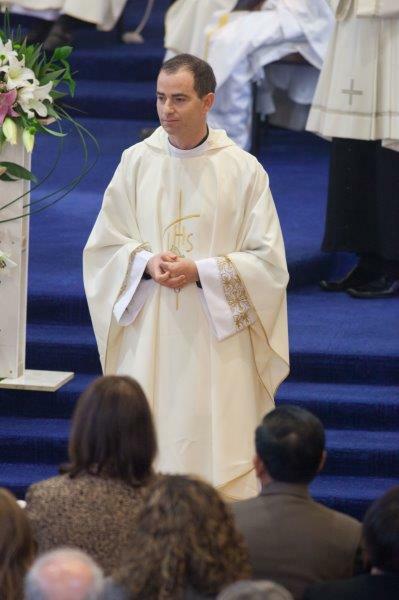 Fr Graeme was the assistant priest at Our Lady of Victories Parish and was ordained a priest on 1 July 2017. May he Rest in Peace. He came from family of two brothers and two sisters and he was the youngest of them all. Fr Blackburn grew up in Auckland, but it wasn’t until he moved to Christchurch that thoughts of a vocation began. “When I was 23 or 24 and — I don’t want it to sound too crazy — but it was quite an instantaneous thing when I felt, wow, this is something I should consider. And then it took me three years to join the seminary after that,” he said. Fr Blackburn studied political science at university and also worked as a flight instructor.